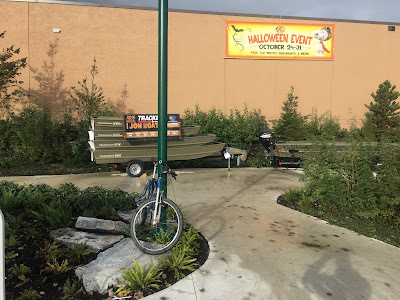 This weekend, I took a trip down to the Tsawwassen Mills area on Tsawwassen First Nation lands. As I posted about last week, the land use plan for the area talked about creating green streets, and a safe walking and cycling environment. Can you building an auto-orient shopping mall and support green streets, best-practice stormwater management, and safe walking and cycling? The answer is yes. The Tsawwassen Mills area is interesting to me because it is similar to the Langley Bypass area in the City of Langley. The TFN is building a community with a variety of housing types within a 10 minute walk of this area. 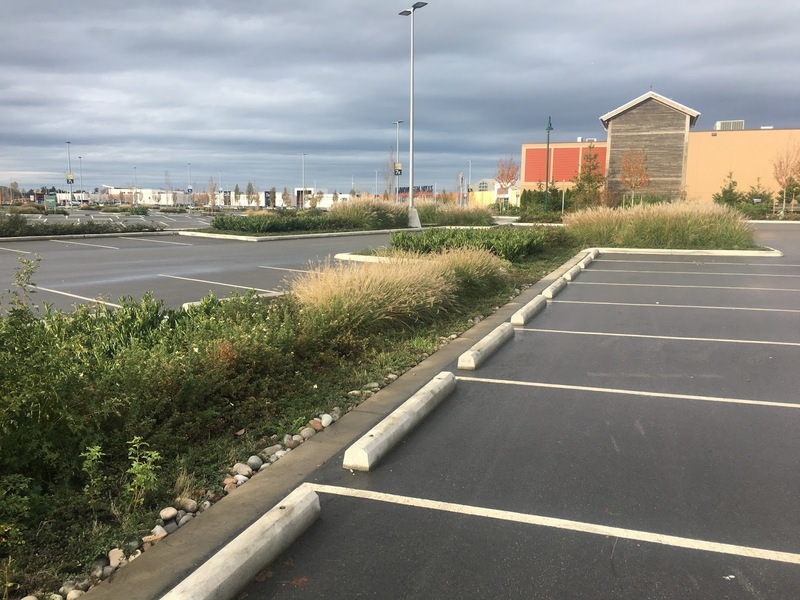 As shown in the following pictures, they have worked hard to make sure that walking and cycling to the Tsawwassen Mills area is safe, and even inviting in some cases. 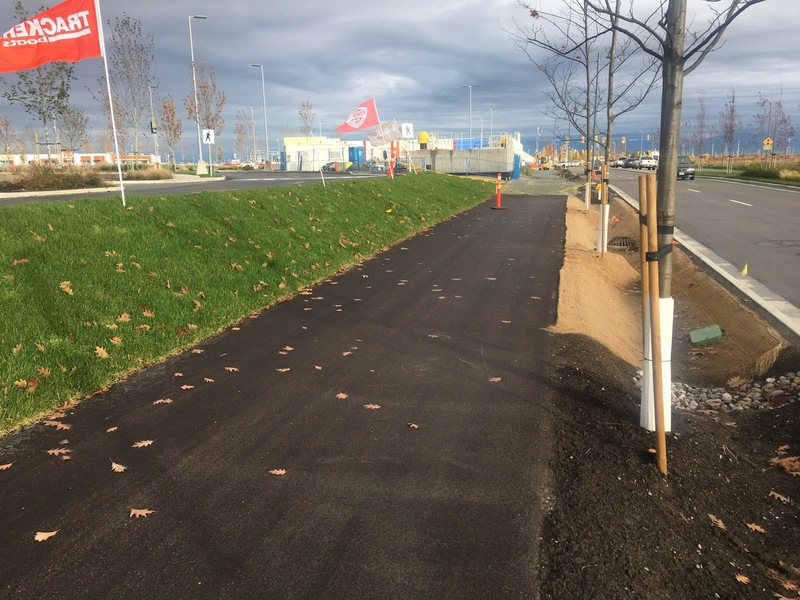 A multi-use trail along the border of Tsawwassen Mills. Select image to enlarge. Pedestrian access to Tsawwassen Mills from the street. Select image to enlarge. Another example of pedestrian access to Tsawwassen Mills from the street. Select image to enlarge. A bike sharrow on an internal road in Tsawwassen Mills. Select image to enlarge. In fact, it looked like more bike parking was required at Tsawwassen Mills. A bike locked to a light pole. Select image to enlarge. 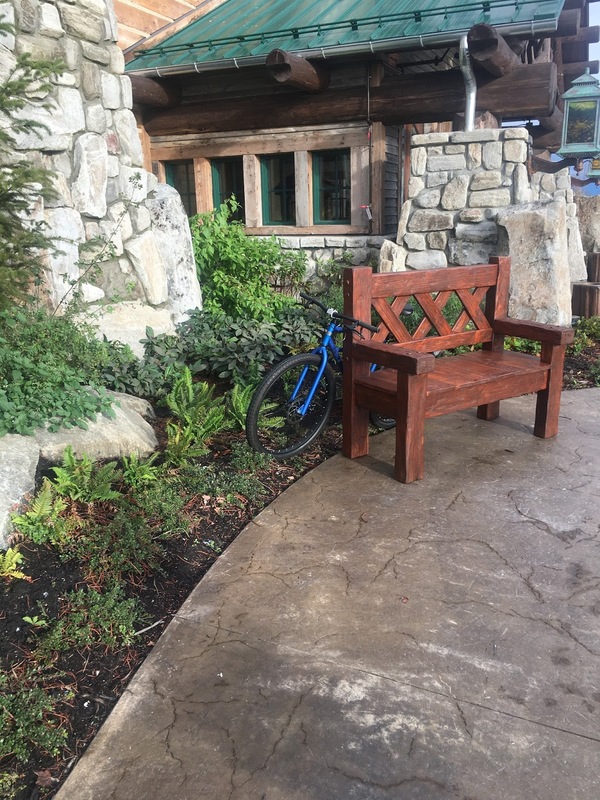 A bike locked to a bench. Select image to enlarge. 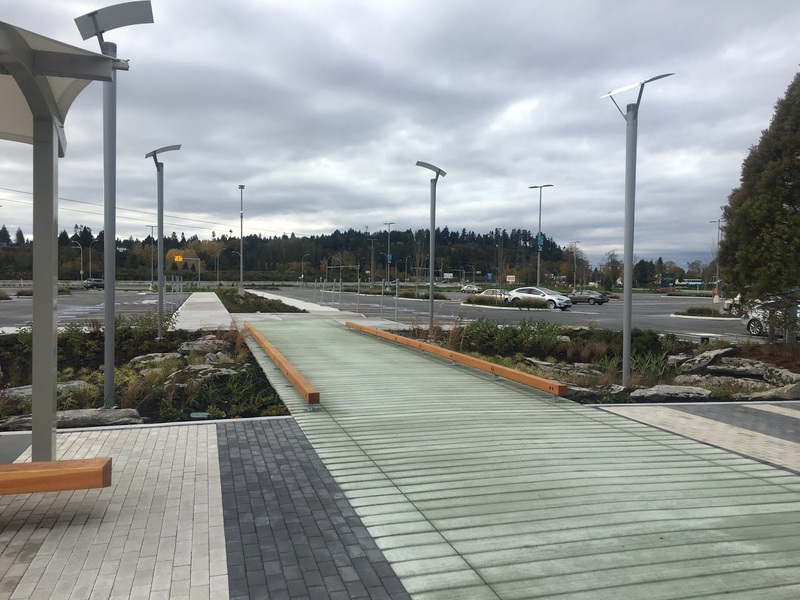 Both the streets around Tsawwassen Mills and the mall itself used bioswales and pervious strips to manage stormwater in an environmental sensitive way. 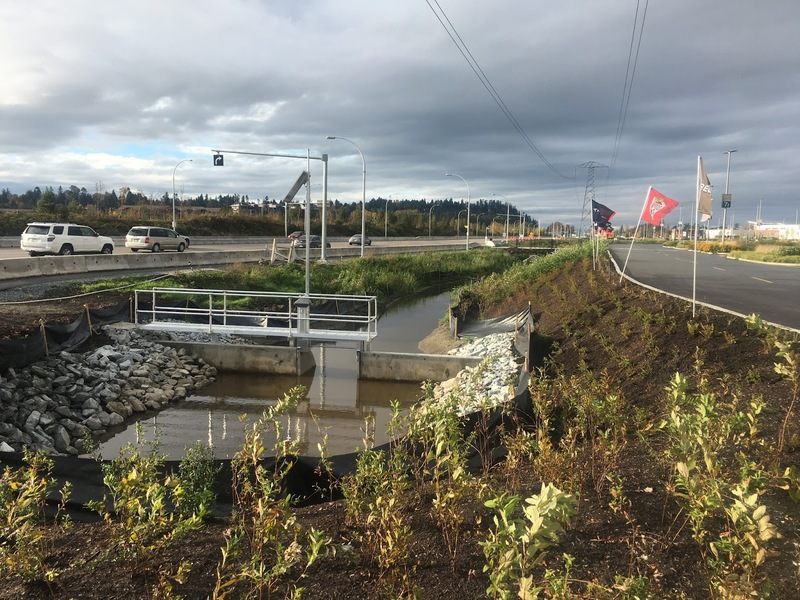 Stormwater management at Tsawwassen Mills. Select image to enlarge. Pervious strip in Tsawwassen Mills parking lot. Select image to enlarge. So how does this apply to the City of Langley? Langley City has a large amount of high-density housing within a 10 minute walk of the Langley Bypass. Sadly, the Langley Bypass layout is actively hostel to people who walk or cycle to the area. People walk and cycle to businesses along the bypass in spite of this. There is a lot of impervious asphalt around the Langley Bypass. Going forward, the City needs to seriously consider adopting the same stormwater management practices that are being used on TFN lands. 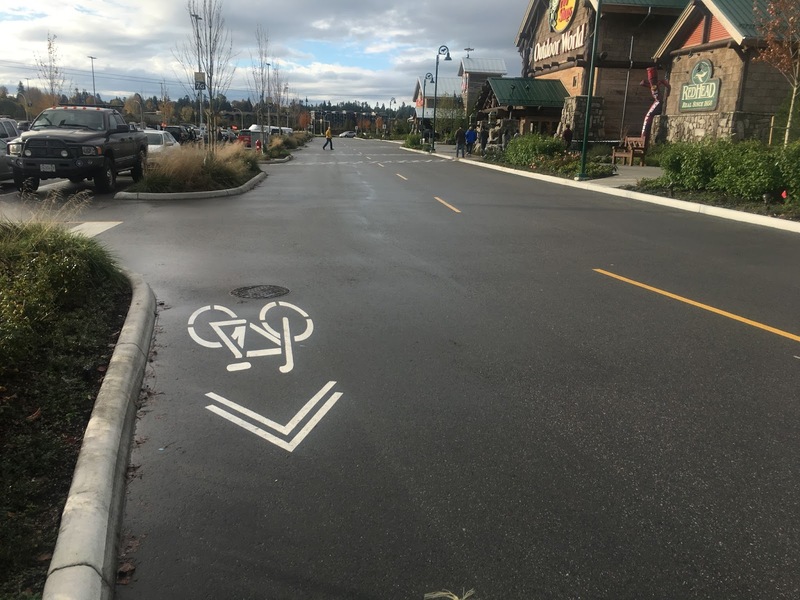 While the City of Langley has little control over the Langley Bypass right-of-way, we can work with land-owners to create safer cycling and walking access in the bypass area. 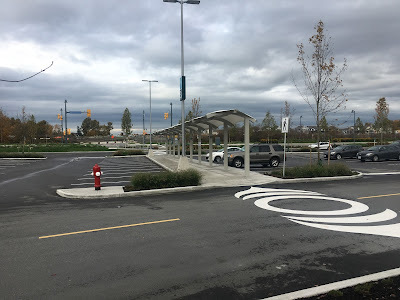 After walking around the Tsawwassen Mills area, it is apparent to me that providing safe walking and cycling access in auto-oriented areas is possible. It is also possible to reduce the amount of asphalt. 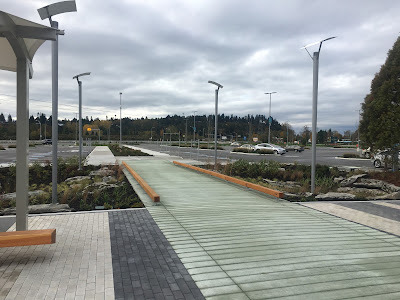 While pedestrian-oriented land-use is what I would prefer to see throughout all of the City of Langley, because the Ministry of Transportation manages the Langley Bypass right-of-way, this is next to impossible do to in that area. 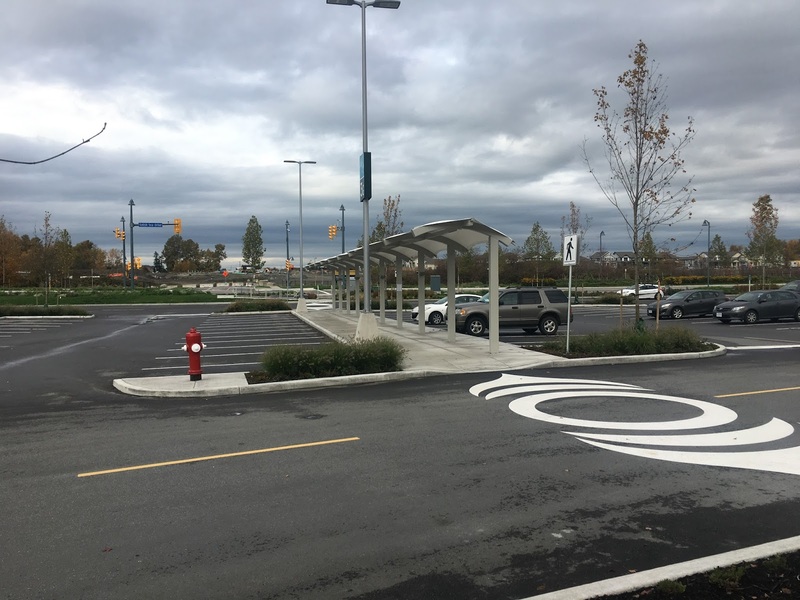 What was done in the Tsawwassen Mills area is likely the best way to provide safe walking and cycling access in auto-oriented areas.